Two aspects of soldiering – a touch of glamour and life at the deadly sharp end – were illustrated in two lots at a Tennants (18.5% buyer’s premium) antiques and militaria sale at Leyburn. 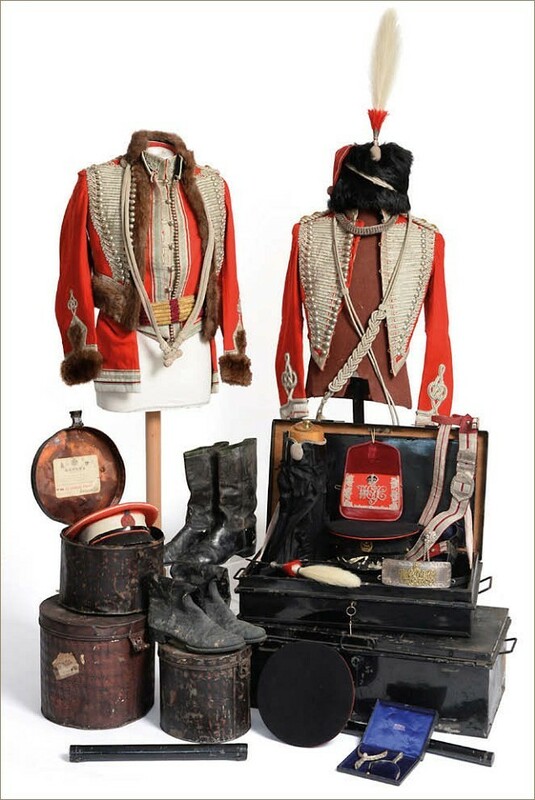 The two early 20th century dress uniforms and full accoutrements, belonging to Major George Owen Sandys, came from a private collection of material relating to his regiment, the Westmorland & Cumberland Yeomanry, and to the Loyal North Lancashire Regiment and the Duke of Lancashire’s Own 3rd Lancashire Militia. With an abundance of silver lace, a silver pouch and chains marked for Birmingham 1913, silver-gilt spurs, silver bullion to the leather boots and white ostrich and red vulture feathers to a sable busby, the uniforms were the height of military glamour in the years before the First World War. The major was portrayed wearing such a uniform in his 1912 portrait by Malcolm Gavin which took a triple-estimate £1800 at Tennants in May. At the August 9 sale, the uniforms were estimated at £2000-3000 and sold over the phone to a collector from the south of England at £8500. A very different side to war was represented by a weapon made for operatives of the Second World War Special Operations Executive, the British organisation set up to conduct espionage and sabotage and to co-ordinate resistance in Occupied Europe. 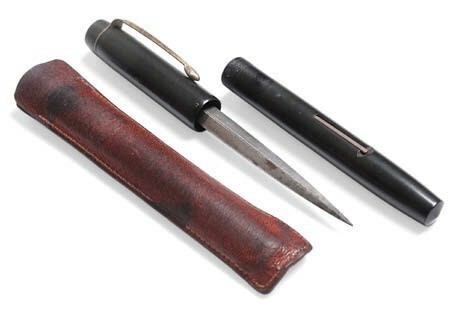 Known as an ‘assassin’s pen dagger’, the 2½in (6.5cm) diamond-section steel blade was concealed in a Bakelite ‘fountain pen’. Whether these weapons were ever used, or indeed ever fooled anybody, is unknown, but it was a popular offering at Leyburn. Estimated at £150-200, it sold to a local private bidder at £1300.